Local honey and Meyer lemons combine to make a sweet vinaigrette for early spring greens and herbs. 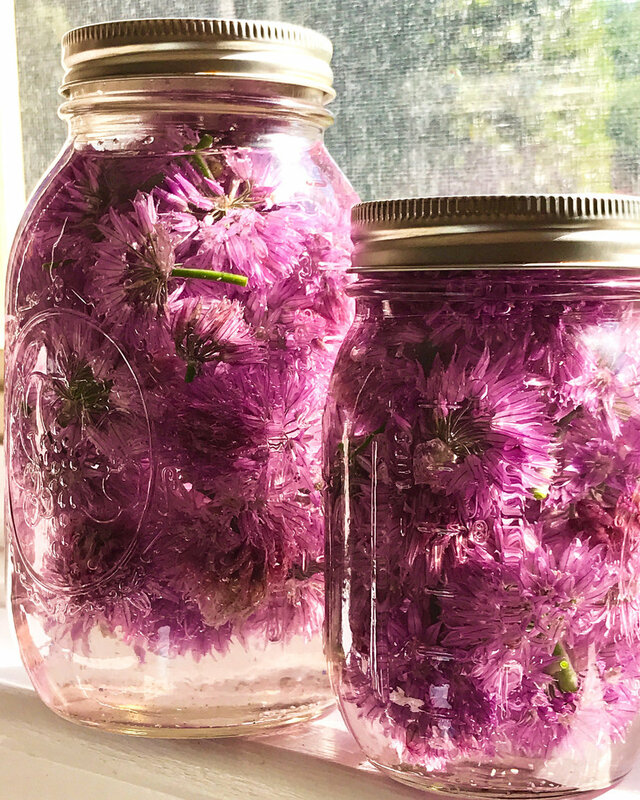 Chive Flower infused vinegar is easy to make. The resulting flavored vinegar can be used in a vinaigrette, recipe included, or on roasted vegetables.